This is a fan site of my favorite character who really is not recognized enough, Drizzt Do'Urden. This site is a work in progress, in time I hope to do enough research to have a bios on every major character in Drizzt's world. So please be patient, there is a lot of history. This site is for the fans of Drizzt Do'Urden. A thank you goes to the fans for their awesome artwork, I hope I gave proper credit to each of you. Thanks, and please enjoy the site. Comic Con 2018 has come and gone. 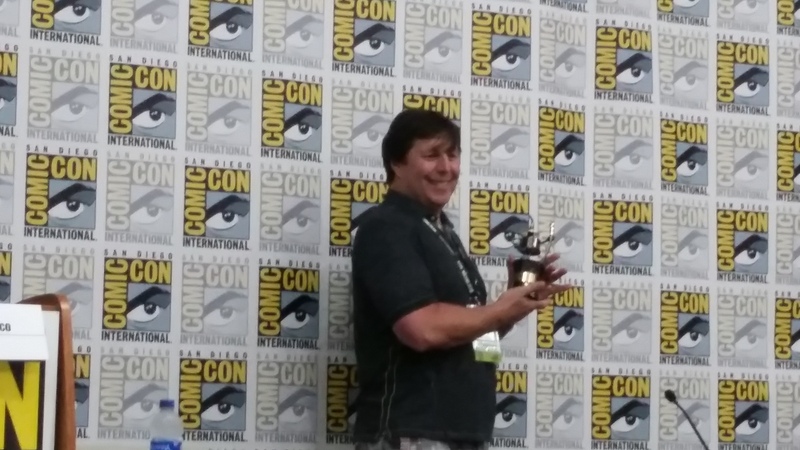 And we got a great panel with R.A. Salvatore. Within that panel he was given Comic Cons famed yearly Inkpot award for 2018. To top it off, fans got a free gally proof copy of Timeless signed by the man himself at the autograph booth in the Sails Pavillion. 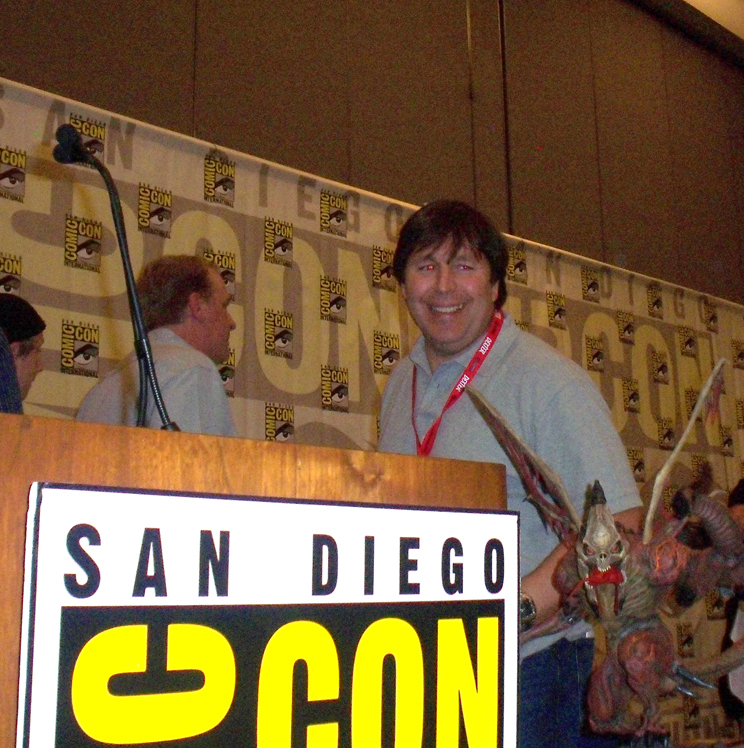 Check out my review and pictures,here..
"Comic-Con special guest R. A. Salvatore (Timeless) discusses all things Drizzt Do'Urden and beyond. 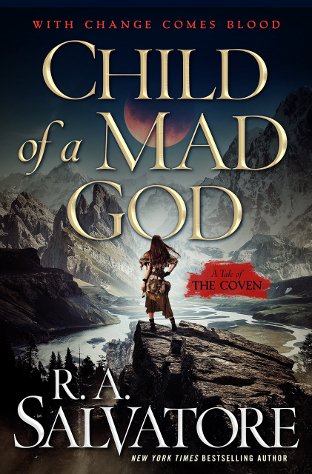 The legendary author talks about Epic Fantasy, The Forgotten Realms, and more. Moderated by Harper Voyager executive editor David Pomerico." Then at 1:30-2:30pm in the Sails Pavillion He will be signing Autographs held in AA19. Hope you all get a chance to attend and meet him. 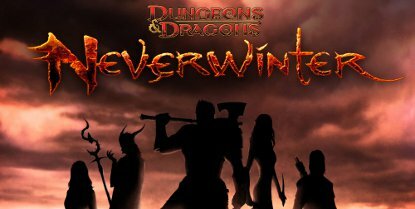 Not really any Drizzt news, but this article from Venture Beat, regarding 5 years of the game Neverwinter got me thinking. According to the article, in 5 years they have reached nearly 18 million people, now that is great. Out of that 18 million, 14 thousand people made their own Drizzt Character for the game. That is great, but for 5 years, that does not sound like that many people to warrant Drizzt having his own game, which I have been wanting for a very long time. But form your own opionions and read on. Salvatore shared a sneak peak from his new book Timeless, by Gizmodo.com. enjoy. Here is a fun interview of RA Salvatore going way to his bouncer days, (did not know that one.) done by the site Fantasy and Fiction. Check out the article from them here. Can't believe this is my first post of the year, did not realize how long it has been since I looked into news, been a very busy year. 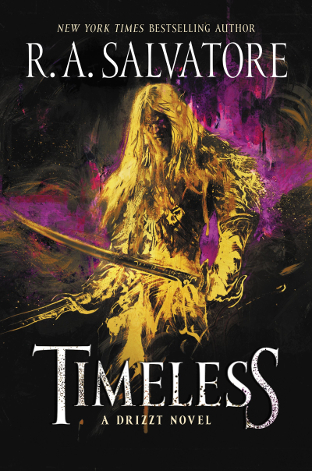 But there is news, as by now hopefully most of you may know since February Salvatore has a new Drizzt book coming out this fall titled "Timeless. "It is not too late to reserve a signed copy, (shipping is planned for September 18,2018) go to his site here. Centuries ago, in the city of Menzoberranzan, the City of Spiders, the City of Drow, nestled deep in the unmerciful Underdark of Toril, a young weapon master earned a reputation far above his station or that of his poor house. The greater nobles watched him, and one matron, in particular, decided to take him as her own. She connived with rival great houses to secure her prize, but that prize was caught for her by another, who came to quite enjoy the weapon master. This was the beginning of the friendship between Zaknafein and Jarlaxle, and the coupling of Matron Malice and the weapon master who would sire Drizzt Do'Urden. R. A. Salvatore reveals the Underdark anew through the eyes of Zaknafein and Jarlaxle - an introduction to the darkness that offers a fresh view of the opportunities to be found in the shadows and an intriguing prelude to the intriguing escapes that lie ahead in the modern-day Forgotten Realms. Here, a father and his son are reunited and embark on adventures that parallel the trials of centuries long past as the friends of old are joined by Drizzt, Hero of the North, trained by Grandmaster Kane in the ways of the monk. But the scourge of the dangerous Lolth's ambitions remain, and demons have been foisted on the unwitting of the surface. The resulting chaos and war will prove to be the greatest challenge for all three. Scheduled for release February 2018, you can place your order here, and get it signed by Salvatore if you order now.